Save your fender with these CNC machined billet aluminum, hard black powder coated Bungee Buttons or high quality chrome finish. 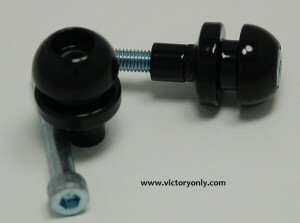 The Slot is perfectly sized for a bungee chord hook. 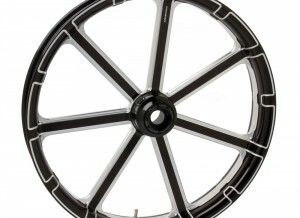 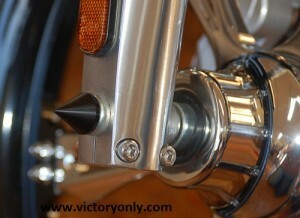 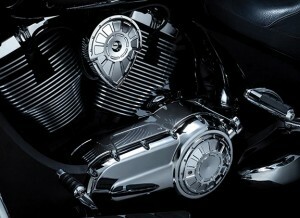 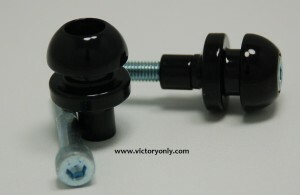 Comes in pairs, each item includes 2 CNC bungee buttons and 2 bolts in Black powder coated finish or Hard Chrome Finish.. 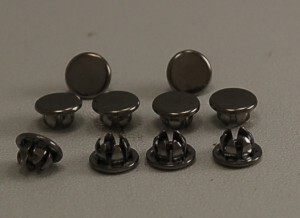 The kit includes 2 buttons and if using to attach a rack system you would need 2 kits as the removable rack kits require a total of 4 buttons. 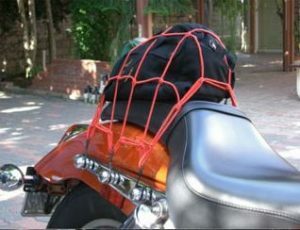 Easily strap a day bag or just a jacket to your back seat using standard bungee chords, or this Lockhart Phillips cargo net. 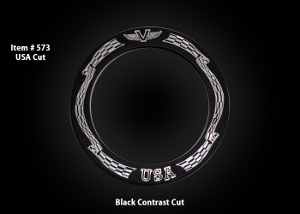 Fits all Victory Vegas, Victory Jackpot, Victory Hammer, Victory Kingpin, Victory Cross Country, Victory Vision, Victory V92C, Victory V92SC, Victory Touring Cruiser, Victory Judge, Victory High Ball, Victory Boardwalk.